After Villeneuf's support show with Moke (click here), I bought the album online (click here for the review). The band confirmed what I'd heard on stage. But I was also intrigued, hence I reached out and here's the result. As not all readers will be familiar with yourself and Villeneuf, how would you like to introduce yourself? Hi there, my name is Michiel and I’m leadsinger and frontman for the indie-pop band Villeneuf. Pleasure to meet your acquaintance. “The name of the band just had to be French” it says on your website. What is your connection with France and that of your music to France, that made you want to play under this name? Well, as a matter of fact, the bands roots lie in France. Not so much mine as a person – born and raised in the Netherlands – or of any band member for that matter, but the band’s cradle stands in France, in the Dordogne region to be more specific. It was there, during a camping trip, that friend / drummer Bas Ernst convinced me to want to perform my music on stage. Besides that, France as a country has always had a great appeal to me. Villeneuf is a fairly common name in many languages for a new colonised area or village. Is this how you look at your music, as something new? No. No music is ‘new’ in my opinion. We all draw from what we know. Everything has been discovered. Sometimes however, certain musical territories must be re-colonised...clearing the path for new settlers, haha. You started out as a solo artist, creating everything yourself. Have you always worked this way or was this a process? I’ve pretty much done most of the recording by myself, so far. But during the mixing process I got a lot of help from Bas. When we do decide to record a new album, things ‘ll be very different, Because the way ‘Great Waste Of Time’ was created....cost me a lot of time and energy. It’s fun, being your own musical boss, but there are some downsides as well. You decided to form a band. How did this come about? The songs I created I could not perform by myself, they had become too elaborate. So I asked a few members of this other band I was in (Junior Eats Alone) if they wanted to join my project. Luckily, they did! What do you consider the advantages of working alone compared to those of working in a band setting? Well, it’s a lot quicker, for starters. There’s no deliberating or endless discussions. My musical thoughts are thus created in their purest form, most of the time. But that’s not necessarily always a good thing. Sometimes you need someone telling you: “Hey, that’s a horrible chord you’re playing”, or: “What in God’s name are you singing about?”. Those are the advantages of working as a band: you keep each other sharp and focussed. What is the role of the band members where the making of ‘Great waste of time’ is concerned? I said earlier I did most of the recording for GWOT myself, but that’s not entirely true, haha. Guitarist Lucas Meijers, who I have known and worked with for more than ten years, recorded several guitar tracks (on three or four songs). And also fellow-singer Ronnie Verton recorded both bass and guitar for the song Cities We Will Burn. Most of the drums and bass are synthetic...with a few exceptions. The music of Villeneuf has a very delicate balance between the organic and the digital. How do you go about arranging songs? I once said that I create songs vertically instead of horizontally. Meaning: I think of a complete chorus or verse and then set out to create those 20-30 seconds of music. As opposed to thinking of and creating an entire song after which I’d record each vocal, piano or drum track separately, from start to finish. Some people would call that being impatient. I just call it: I want to hear what it sounds like when I’m done. ‘Cities we will burn’ gives an almost apocalyptic view. What inspired you here? The official party line is: ‘I got inspired by a painting, The Tower Of Babel, by Pieter Breughel’. Mix that painting with the events of 9/11 (probably the lifechanging event of my generation) and you have the lyrics for CWWB. Another very distinct image is “weeping by the wayside with a brown paperbag on my head” in contrast to ‘Home, where the heart is”. What is the “I” hiding from? What comes first to you music or lyrics? Or melody or beats? Usually the lyrics. If not: the beat. I’m not a melody man. What musicians influenced you on the road to ‘Great waste of time’? Pff, where do I start!? I grew up listening to the Beatles and, as I developed my own taste, grew into Britpop and beyond. I went from Blur to Oasis to Radiohead to Coldplay and Muse to Arctic Monkeys back to Radiohead and back to Coldplay again. From overseas I listened to the indie-revolution. Arcade Fire of course, Broken Social Scene, Metric. Yeah, I dig Canada a lot. More recently: Midlake and Bon Iver. Cannot hear that enough. Having been on national radio and TV, does this open doors for Villeneuf and if so in what way? You’d think wouldn’t you? It kinda does a little, but not so much as you’d hope. We got booked a couple of times and the exposure’s great for album sales of course. 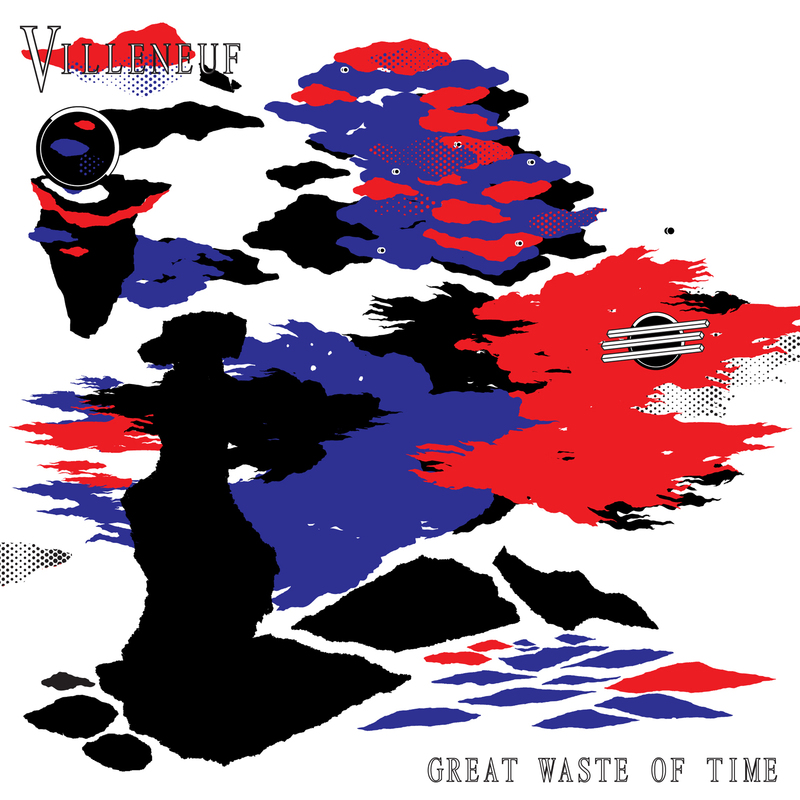 What made you name an album this beautiful ‘Great waste time’? It’s kind of a paradox, the word ‘Great’ I mean. Meaning both ‘a lot’ and ‘wonderful’ in this album title. I think, that says it all. It reflects the period in which GWOT came into existence. You decided not to release the album as a cd. Is the notion you had then still true several months later? 100% yes. The fact that we were able to come up with something this original opened many doors for us. I would do it again in a heartbeat. Although now....it would be nice to have a CD, hahaha. What can we expect from the band in 2013? Starting March 31st (Tweetakt Festival in Utrecht) we’ll be playing quite a few shows throughout the Netherlands. An updated list is available on our website: http://villeneuf.com/.We hope to participate in this year’s edition of Popronde. At the moment we’re kind of ‘harvesting’ after two years of sowing. We love playing our songs for an audience. And enjoy the fact that we get to play so often. But, truth be told: I can’t wait to get back to recording new material! 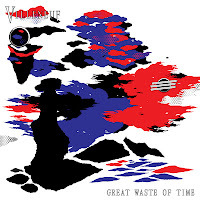 You can listen to and order 'Great waste of time here'.